Bob, regarding the band Willow Mill Park…thanks for the confirmation. I saw them several times at the Railroad House in Marietta…just loved their sound! I have enjoyed reading all of these comments. I grew up in Grantham and was closer to William’s Grove. If you look up defunct parks, PA has over 100. Very sad. Oh and who killed Ma Bell? My grandfather was Harry Stoner and owned Willow Mill Park for I believe 15 years? And my mothers maiden name is Marilyn DeHaven Stoner. We are looking for some additional pictures of the park that we can have copies of. I’m not at liberty to mention yet what we will be using them for However they would be well preserved and shared for generations. My grandparents lived in Ickesburg, then New Bloomfield in the 60’s when I was growing up. 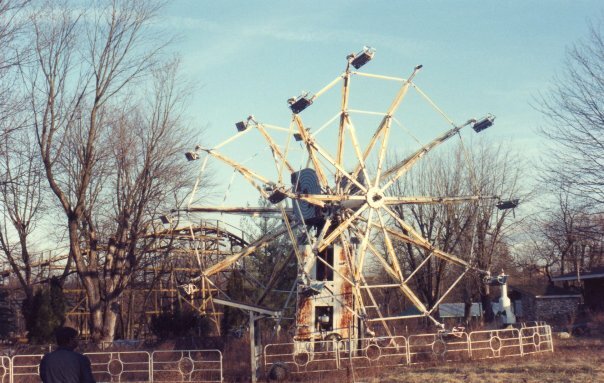 We visited this park many times, never went to Hershey until after this one was closed. I would love to see pictures of the rollercoaster and the arcade with the trees growing right up through the middle.